Factories are encouraged to achieve low-carbon, eco-friendly production through industrial upgrading. In addition to reducing consumption, emission and pollution, experts have pointed out that green growth also entails high efficiency, benefit and recycling rate. During a seminar on supply-side structural reform of environmental governance and green growth held at Qingdao University of Science and Technology, Shandong Province on Sept. 24, scholars elaborated on the concept of “green growth” and discussed the impact of supply-side structural reform on environmental governance. The notion of green growth, for a long time, has been limited to reducing consumption, emission and pollution, which only defines “green.” “But actually, it represents a development model,” said Li Zuojun, deputy director-general of the Resource and Environment Policy Research Institute at the Development Research Center of the State Council. He said that green growth also entails high efficiency, benefit and recycling rate. Two indispensable elements are involved: green, which refers to wise use of resources and protection of the environment, and growth, namely economic growth. Ren Jianlan, a professor of geography and the environment at Shandong Normal University, said that green growth comes at no expense to the environment and human-environment relationship. Instead, green growth updates eco-ethics, and upgrades production relations and models, and lifestyles. It’s an inevitable route that must be taken by eco-development, which will in turn boost its progress. They are complementary, she added. Li said, economic growth, or increasing the GDP, depends on higher total factor productivity, which is driven by three engines— institutional reform, structural optimization and factor upgrading. Among them, institutional reform is the fundamental engine. Green growth also requires the acceleration of industrial restructuring. 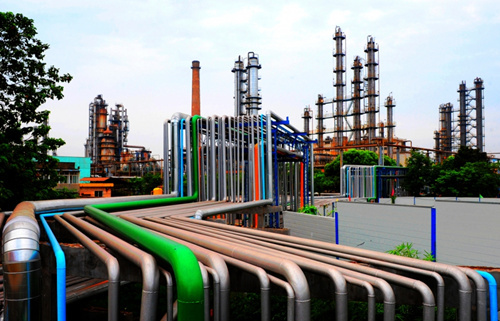 Hu Tao, former chief expert of the Trade and Environment Expert Group of the Ministry of Environmental Protection, said economic restructuring through supply-side structural reform can control pollution much better than engineering and technological means. Stringent environmental policies can force the acceleration of economic restructuring, but it is more important to carry out proactive supply-side structural reform, he said. This not only brings environmental benefit but also creates synergy in transforming the economic growth model, which can boost industrial competitiveness. Liu Bing, director of the Shandong Institute of Macroeconomics, said the following measures can be adopted to speed up green growth. The government should enhance the layout of different sectors so that they can play their respective roles. Industries should adopt a low-carbon model of development. Resource efficiency needs to improve by promoting intensive development and energy conservation. And systems for securing green growth have yet to be updated. Ren said that “ecology and sustainable development should be integrated into the whole innovation system.” This includes ecological innovation in concepts, technology, society and organizations. Such efforts aim to create better products, techniques, procedures, systems and services that enable higher resource efficiency and lower pollution. In the end, integrated benefits that include economic, social and ecological benefits also achieve new breakthroughs, she added.